The Islamic Revolution Guards Corps (IRGC) said on Tuesday that its troops disbanded a “terrorist cell” in a border region in southeastern Sistan and Baluchestan Province. A statement released by the IRGC Ground Force added that its forces clashed with an armed group that attempted to infiltrate into Iran from Tahlab in Mijaveh area near the border with Pakistan. According to the statement, three militants were killed and a number of others fled back to Pakistan’s Baluchistan Province, bordering Iran. Two members of the IRGC’s Basij forces and one from the IRGC’s Ground Force’s Qods Headquarters (not to be confused with Iran’s Quds Force responsible for external operations) were also killed in the skirmishes. Jaish ul-Adl, a splinter group of Jundallah operating from Pakistan’s Baluchistan region, claimed credit for the attack. Contradicting the IRGC account, the group said its militants killed 11 IRGC personnel without sustaining any casualties themselves. Comment: Iran’s southeastern and northwestern regions – home to marginalized ethnic and religious minorities – have seen an uptick in violence by separatist and militant groups. The country’s security forces have in recent months engaged in several armed confrontations with militant groups and drugs cartels and captured several caches of explosives, suicide vests and ammunition in eastern parts of Sistan and Baluchestan. In April, the Iranian media reported the country’s security forces had seized a major consignment of explosives while they were being smuggled into Iran from across the border. Iranian officials said the ammunition and explosives were hidden under illicit drugs and were intended for terrorist attacks inside Iran. IRGC officials blame Jundallah, a terrorist group that has a presence in Pakistan’s Baluchistan Province and has claimed credit for several attacks against Iranian security forces. In a similar attack in the same region last year, the group killed nine Iranian border guards before fleeing back to Pakistan – straining ties between Tehran and Islamabad. “Islamabad should be accountable for the presence of terrorist groups in its soil and for the outlaw groups operation against Iran from its territory,” Iranian Foreign Ministry Spokesman Bahram Qassemi said in reaction to the attack. Iranian military leaders also threatened to conduct cross-border counterterrorism attacks to target Jundallah inside Pakistan. Iran’s Intelligence Ministry last year also revealed that the country’s security forces had dismantled nearly 100 “terrorist groups” across the country. With a sizable yet largely marginalized Sunni population, Sistan and Baluchestan can be a breeding ground for local militant and separatist movements as well regional and international terrorist groups such as the Islamic State and al-Qaeda. Sunni Baluchs, who constitute a plurality of the population in the province, have long suffered state-sanctioned discrimination, economic marginalization, cultural repression, disproportionate executions, torture, detention without trials and extra-judicial killings. Sistan and Baluchestan also borders Afghanistan and Pakistan, and the Islamic State has gained a foothold in both countries recently. The province also is a key drug trafficking route in the region. The Iranian government considers the restive region a top security priority. 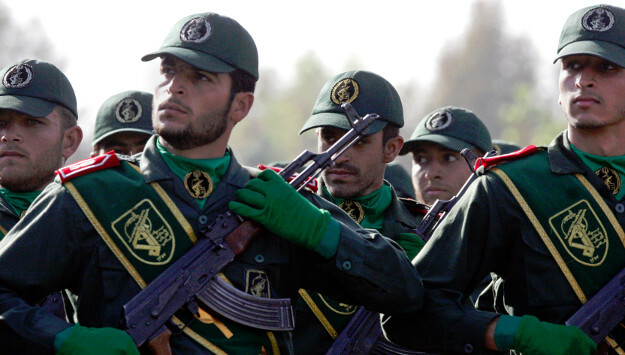 Hundreds of Iranian security forces have been killed in the fight against insurgents and drug smugglers in the province over the past decade. Both the IRGC’s ground forces and the Basij units have increased their presence in the region.